Laura is a presenter and journalist who helped found dedicated women’s cycling channel, VoxWomen. She has covered massive global events like Rio 2016 and is tipping American rising star, Skylar Schneider, for greatness. 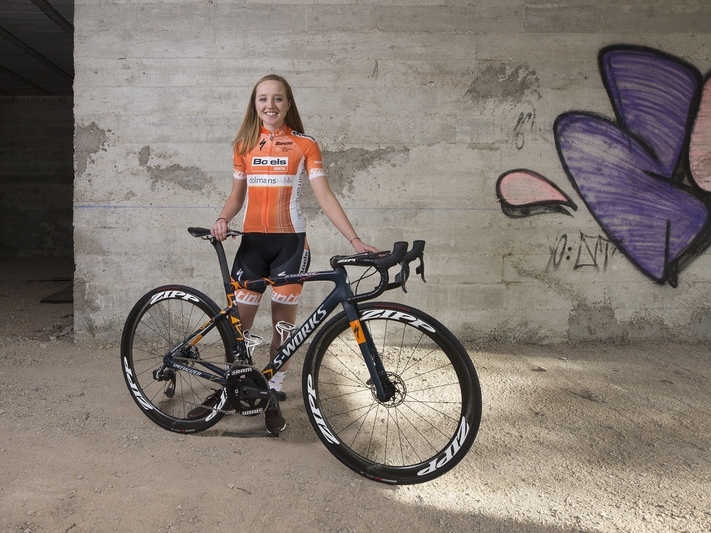 “Schneider closed out a turbulent season with a silver medal at the Junior World Championships and has since signed for Boels - Dolmans, the best women’s cycling team in the world for the past two seasons. “The 19-year-old initially signed for Team Illuminate alongside her sister, but the two riders left the team amid controversy, claiming disagreements with the management and late payment of wages. Unfazed, the former junior world champion went on to a win a stage of Thuringen Rundfahrt, as well as clinching third at the Pan American Games, racing for the US National Team. Rebecca is a TV presenter, commentator and cycling journalist. For her, it's all eyes on Victoria Barnes this season. "Great Britain track sprinter Victoria Barnes, nee Williamson, had her eye firmly on the second GB slot in Rio alongside former team-mate Becky James in 2016 – and for good reason. Her talent was recognised in 2009, during the UK Sports Talent ID Programme – Girls 4 Gold – and by 2010 she was competing at a National, European and World level. It was in 2013 that Barnes made her first GB senior debut at the World Championships in Minsk, taking bronze in the team sprint with James. “She was positioned well just months out from the Olympic Games in Rio, but during the 2016 Rotterdam Six Day, Barnes suffered life-threatening injuries when she broke her neck, back and pelvis in a terrifying crash during a sprint final against Dutch rider Elis Ligtlee. Sarah is a prolific podcaster and writer on all things women’s cycling. Indeed, when it comes to the pro peloton, there aren't many / any who are more clued up than her. Sarah has recently retired from her work championing and commentating on women's cycling, so we were stoked when she shared this parting gem with us. “Juliette Labous will be in her second year as an elite in 2018, and while she still might be a bit too young to shine now, she's definitely got a big future ahead of her. “She was one of the stars of her junior cohort, especially in the ITT, winning bronze in the Doha Junior Worlds. This year at Sunweb she seems to have absorbed as much as she can, especially appearing to learn from Ellen van Dijk, a fantastic role model for any rider with TT skills. Anthony founded Cyclevox, then VoxWomen with Laura Winter (above). He’s a well-known voice in the cycling business, as commentator at the Tour de France, Giro D’Italia, Strade Bianche and cycling events at the London and Rio Olympic Games. He also made history by becoming the first English speaking commentator at the Milano San Remo, the 95th Giro d'Italia and the il Lombardia. “At just 19, I think Susanne Andersen is one to watch. She was 7th in the Worlds in Bergen and is a very determined personality. She’s super talented and a real racer, too. “Based on her results and attitude, it looks like she is learning fast and, over the next two or three seasons, will be the successor to Cecilie Uttrup Ludwig at U23 level. Bob Varney is principal of Drops Cycling Team, a women’s development squad dedicated to giving young riders the chance to reach their potential on the road, while competing at an elite level. 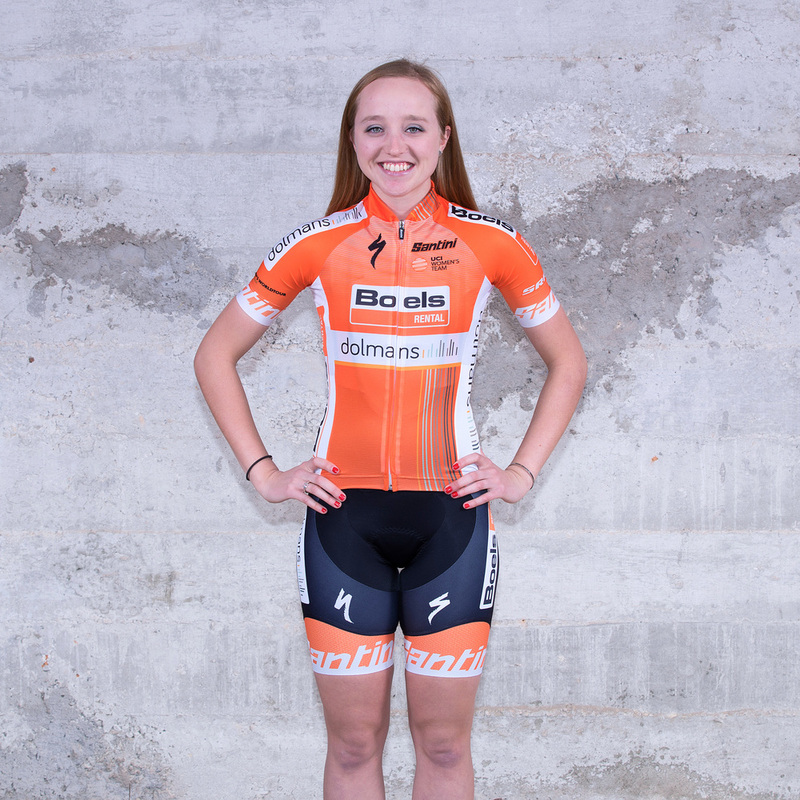 “I’d have to say [new Drops signing] Eva Buurman is my choice of a young rider to look out for next season. Eva was at the top of our list to recruit for the 2018 season as early as the spring this year. I'm sure Eva will surprise a few people and I'm really looking forward to seeing her step up.